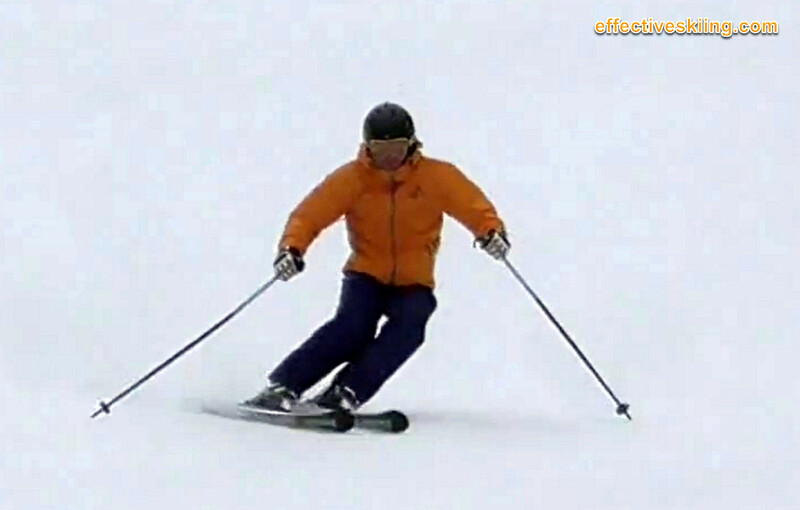 Separation is the fundamental principle of skiing: the one of separating the movements and actions of the upper body from the movements and actions of the lower body, very important in skiing, to maintain balance and alignment through the turns. Good and even extreme separation is often considered the number one skill for expert skiing and a major focus of this website and the progressions here. Lateral separation is created via counterbalancing i.e. 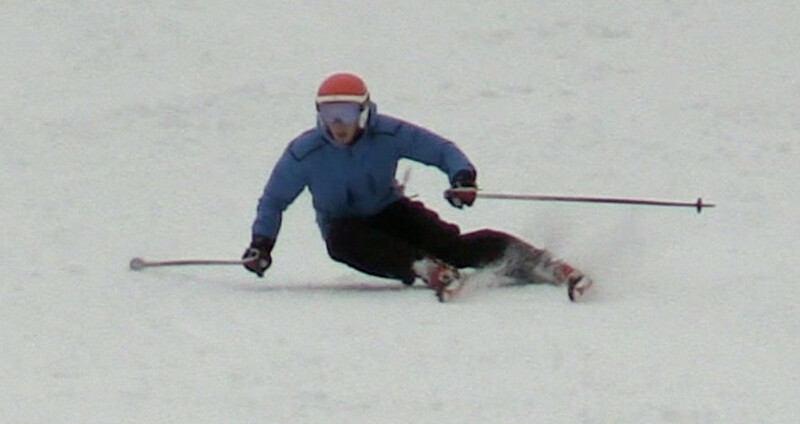 tipping the upper body to the outside of the turn, to compensate for the skis tipping inside the turn, more or less as needed. The outcome of separating laterally is generally called angulation, given the lateral angle developed between the upper and lower body. Many instructors focus on angulation directly, but we consider effective instruction to focus on the specifics, i.e. 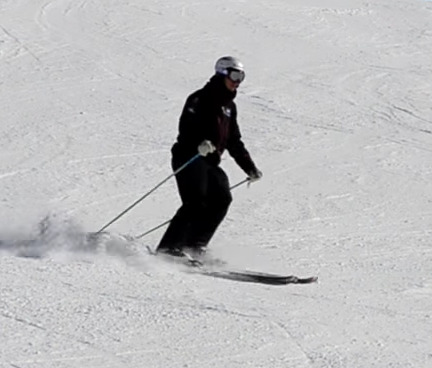 "lift the inside hip" because just saying "more angulation" for instance could lead to the skier creating too much effort in the spine as opposed to properly creating the separation at the hips/pelvis. So, while the outcome of separation in the lateral plane is angulation, the actual movement creating that is counterbalancing and it is most effective when the separation is created at the hips, i.e. the counterbalancing includes the hip. Sometimes you will hear statements such as separation contributes to angulation, as when you separate rotationally (counter) and bend forward at the hips, the body appears angulated, from some specific points of view. 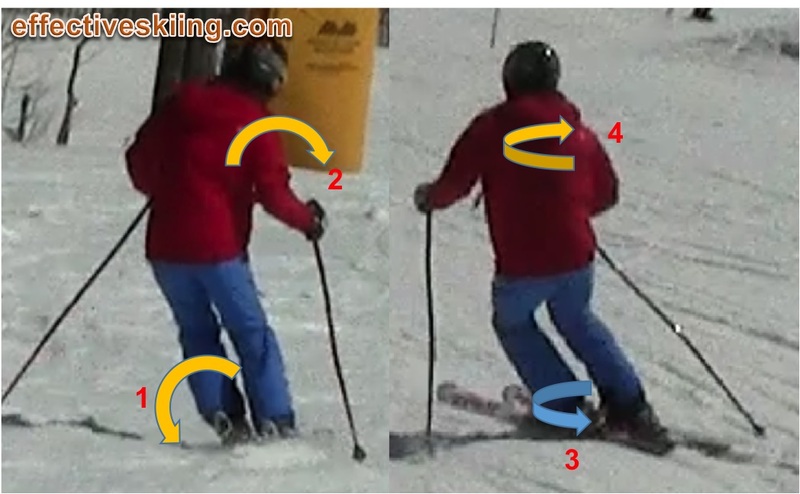 Rotational separation, or counter++ is created by coiling: turning the upper body to the outside of the turn, to compensate for the skis turning into the turn, more or less as needed. So, going back to outcomes vs movements, the actual movement the skier does it coiling while the result, the outcome will be counter. This is especially true when the skier is looking for and using the ski design. 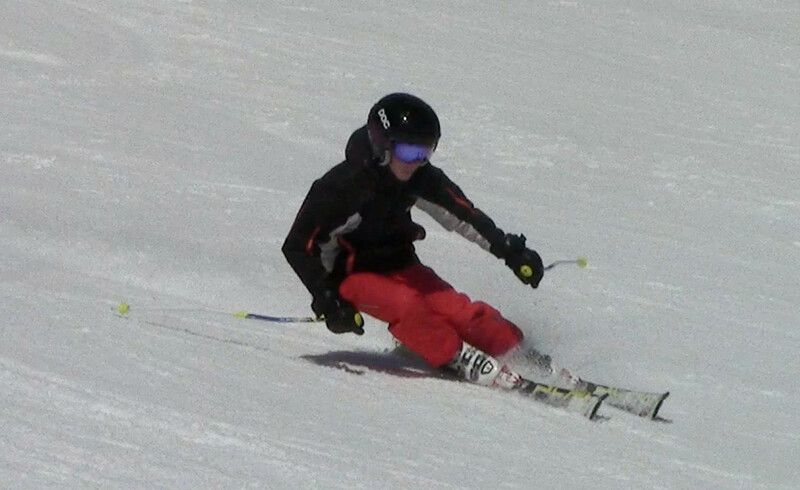 When pivoting is used to turn the skis instead of using the ski design (i.e. edging and sidecut), it is more common to hear that "the feet turn under a stable upper body" instead, see Femur rotation. It may look like he's tense, but not really: most of his body is relaxed. Also, when the "resisting" phase comes and the body does need to get strong, it is a very short phase - so he would be relaxed for most of the turn. Another thing to note about relaxation: it doesn't mean "giving in" or "not caring"... the muscles are primed and ready to go, just not really stressed. Most of the muscles that are active most of the time are the ones responsible for balance, so around the foot and those for separation, around the hips and core. The big and strong muscles used to resist the forces of the turn are only used for a short period of time - and for that period, separation is harder to accomplish. In the lateral plane, good separation creates angulation via counterbalancing while in the rotational plane it creates coiling via counteraction. Viewed 2188 times ( | Print ) this page.